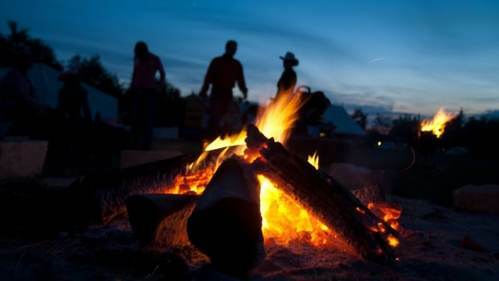 Dryers conditions, higher temperatures and southwesterly winds could fan the flames at the start of the long weekend, according to the Ministry of Natural Resources and Forestry. 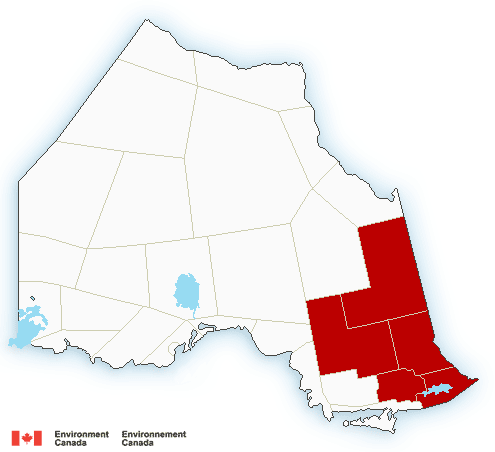 The Ministry of Natural Resources and Forestry says drier conditions, higher temperatures and southwesterly winds could stoke wildfires across the northeast at the start of the long weekend. As of yesterday evening, there are 45 active forest fires in the northeast: 21 are not yet under control and 24 are either being held, under control or being observed. Parry Sound 33 is now 11,185 hectares and not yet under control. The ministry says higher humidity on Friday helped crews laying hose around the perimeter of the fire. 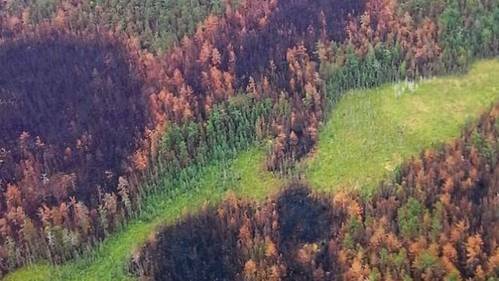 North Bay 72 — in the Lady Evelyn fire cluster — remains active, although the ministry says good progress was made in the last day thanks to some precipitation towards the end of the week. The fire measures 27,285 hectares. 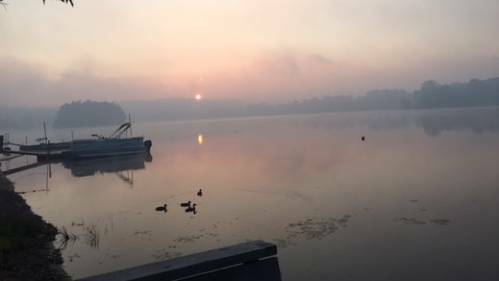 Smoke continues to affect air quality and visibility across the region. Radio-Canada's Matthieu Grégoire is at the MNRF command post in Britt this morning as helicopters take off to continue fire suppression efforts for Parry Sound 33. Still not sure about your long weekend plans? Check out this story for information on everything from highways to air quality and camping. Be sure to read our updated story, with more from MNRF fire information officer Isabelle Chenard. Check out this interview on the situation in northeastern Ontario with MNRF fire information Isabelle Chenard and then travel across the country to learn more about forest fires in British Columbia. It's a campfire-less long weekend for many in the northeast...but why are we drawn to the fireside in the first place? 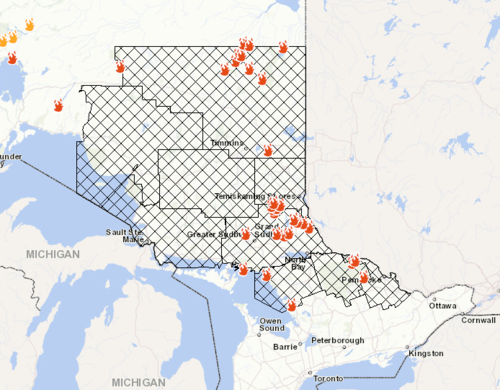 Here's where the MNRF has implemented Restricted Fire Zones. If your area isn't covered by the crosshatched lines, your municipality could still have a fire ban in place — be sure to check before you light up! There have been some really great stories of communities coming together in the midst of these forest fires, but this one might be the sweetest. Tom Stehr, the owner of Sugarbush Hill Maple Farm in Huntsville, Ont., wanted to do something nice for the nearly 200 people that have come from across North America to help fight Parry Sound 33. 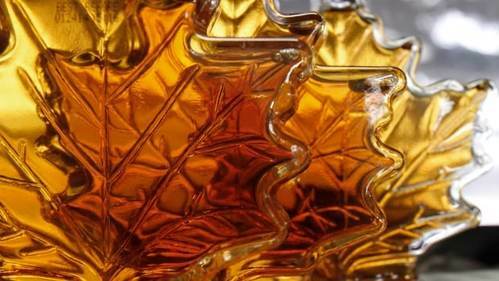 So he packed up bottles of maple syrup and sent them to the front lines. That's a wrap on today's live blog, but keep an eye on cbc.ca/sudbury as we have more to come this weekend. You can also visit the MNRF's forest fires page for the latest updates.